“[God] works out everything in conformity with the purpose of his will” (Eph. 1:11 NIV). “[Jesus] was handed over…by God’s deliberate plan and foreknowledge…” (Acts 2:23 NIV). “The plans of the LORD stand firm forever…” (Ps. 33:11 NIV). To be sure, there are quite a few other Bible texts that affirm the truth that God is sovereign and in total control of all things. Nothing surprises him; his counsel will stand and nothing can thwart his plans or purposes. This is good news for Christians. Not only do all things come our way by the good and sovereign will of God, but our salvation is also secure because it is part of his sovereign plan in Christ. 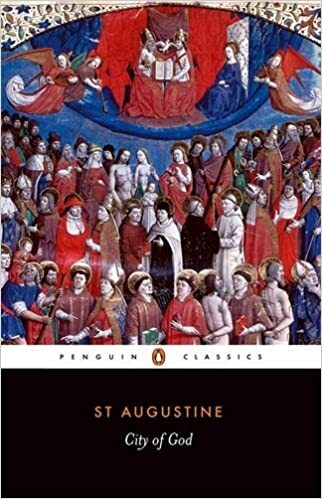 The above quote from Augustine is found in City of God, XIV.11. This entry was posted in Uncategorized and tagged Augustine, Foreknowledge, Sovereignty, Theology. The Titles of the Psalms: Original?